Vaping is an emerging trend among people of all age groups, generally viewed as less harmful than smoking tobacco. 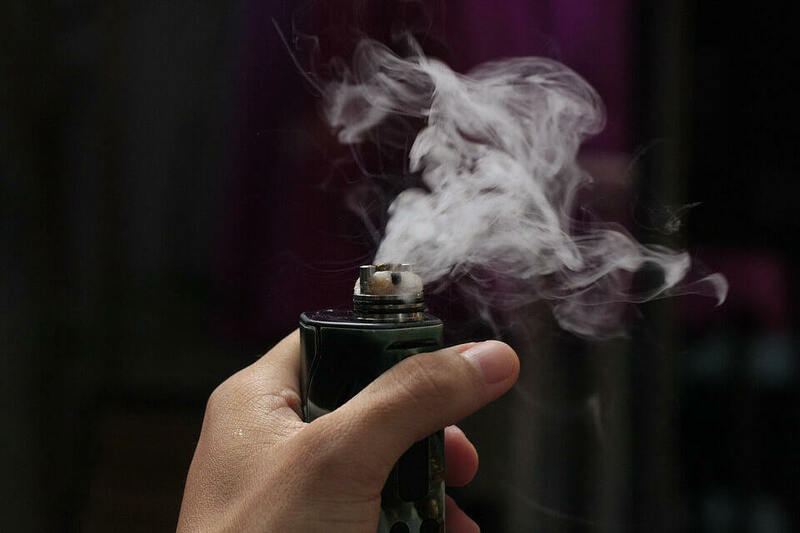 Vaping involves the use of flavored e-liquids, vaporized and smoked like a cigarette. The nicotine levels are lower than the levels in tobacco, and the e-liquids do not contain the same carcinogens that tobacco contains. Sleep Patterns: Why Does Vaping Matter? The nicotine in most e-liquids, as well as tobacco products, is addictive. It is what keeps users coming back to these products time and time again. Nicotine is a stimulant, meaning that it activates and increases your heart rate, blood pressure, breathing, and more. These increases in your autonomic functions make it difficult to relax and fall asleep. The addictive properties of stimulants such as nicotine mean you are compelled to keep using them repeatedly, and depending on the dose, you may be unable to sleep the solid 7-9 hours of sleep a night most people require. If you do vape, you need to take note of the sleep-related complications that arise from vaping and consider adjusting the timing and patterns of vape usage, so you sleep better. Generally, most people make the mistake of vaping close to bedtime, resulting in difficulties falling and remaining asleep. The problem is exacerbated if you tend to use e-liquids with higher concentrations of nicotine. Many people are unaware that e-liquid for vaping comes in different concentrations and strengths, each of which contains different percentages of nicotine. Typically, brands have strengths from 0 to 36 milligrams of nicotine per milliliter, which is the equivalent of zero to more than two packs of cigarettes per day. Since nicotine is the stimulant ingredient in e-liquid that can prevent you from sleeping, reducing the percentage of nicotine in the e-liquid that you use is a great way to improve the likelihood that you will fall asleep and stay asleep. If you enjoy vaping closer to bedtime, then pay close attention to your brand of e-liquid and choose one with zero or only trace amounts of nicotine. Something that few people realize is that vaping can cause snoring or worsen snoring for those who already snore. Vaping as a habit can cause a phenomenon called airway resistance when done over time. This means the airway is stiffer and more resistant to the flow of air from the body in and out of the lungs. For some, the increase in airway resistance is enough to cause snoring, which is the sound that is made when airflow is obstructed. For others, airway resistance combines with other factors such as tongue obstruction to cause or worsen a snoring problem. Vaping can also be dehydrating for the mucous membranes of the mouth, nose, and other parts of the upper airway. This is partially because many e-liquids contain propylene glycol, a chemical compound that is known to dry out and irritate these tissues. This is why vaping is associated with sore throats as well. The dryness and irritation of the upper airway that is caused by vaping is another source of airway resistance that can also worsen snoring. Vaping impacts the quality and duration of sleep, just as snoring does. If you snore regularly, then vaping can mean your already inferior quality of sleep is worsened, and your snoring may increase. This can also have a potentially deleterious effect on your physical and mental health if untreated. Using a device that can help prevent snoring will help. For example, the ZQuiet mandibular adjustment device is specially designed to realign the jaw to prevent snoring, which means you spend more time in rapid eye movement sleep and less time lying in bed restless or experiencing low quality sleep. Even if you do not want to use a lower concentration of nicotine in your e-liquid or stop vaping altogether, using a device to prevent snoring means you will likely be able to achieve a reasonable quality of sleep. No matter whether you are a seasoned vaper or just dabbling in the world of e-cigarettes, knowing how the vaping habit effects your sleep can help you make informed decisions about your e-cigarette usage.